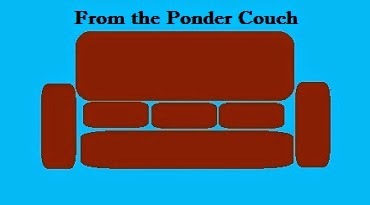 From the Ponder Couch: Ponder Kitchen: Making a Nostalgia Spritzer Extreme!!! Ponder Kitchen: Making a Nostalgia Spritzer Extreme!!! What happens when you take a Nostalgia Spritzer (Ecto Cooler + Surge) and add a little Crystal Pepsi? I think it's pretty good. I don't think it improves on the original Nostalgia Spritzer, but it's still good. It kinda tastes like a flavored cola. Like Pepsi with some citrus. Or a bit like a suicide (or whatever you call it when you mix all the drinks in the soda fountain). Not bad, but I prefer citrus straight-up.